Evangelist Alveda C. King uses her God-given talents and abilities to glorify God and uphold the sanctity of life from the womb to the tomb. She currently serves on the pastoral team of Priests for Life, as Executive Director of its outreach called Civil Rights for the Unborn. She is also a voice for the Silent No More Awareness Campaign, sharing her testimony of two abortions, God’s forgiveness, and healing. The daughter of the late civil rights activist Rev. A.D. King and his wife Naomi Barber King, Alveda grew up in the civil rights movement led by her uncle, Rev. Dr. Martin Luther King, Jr. Her family home in Birmingham, Alabama, was bombed, as was her father’s church office in Louisville, Kentucky. Alveda was jailed during the open housing movement. She sees the prolife movement as a continuation of the civil rights struggle. Evangelist King is a former college professor and served in the Georgia State House of Representatives. She is a recipient of the Life Prize Award (2011), the Cardinal John O’Connor Pro-Life Hall of Fame Award (2011) and the Civil Rights Award from Congress of Racial Equality (CORE) (2011). She is a bestselling author; among her books are GG’s Home for The Holidays Cookbook; King Truths: 21 Keys to Unlocking Your Spiritual Potential; King Rules: Ten Truths for You, Your Family, and Our Nation to Prosper; America Return to God; How Can the Dream Survive if we Murder the Children? and I Don’t Want Your Man, I Want My Own. Alveda is an accomplished actress and songwriter, her latest album being Tender Moments Alone with God. 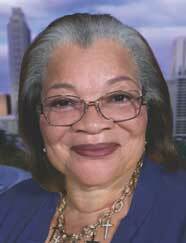 The Founder of Alveda King Ministries, Alveda is also the recipient of an honorary Doctorate of Laws degree from Saint Anselm College. She has served on several boards, including Heartbeat International, Georgia Right to Life, The King Center, Bible Curriculum in Public Schools and Abortion Recovery International (ARIN). She is also a member of the National Black Prolife Coalition (NBPC) and is a Senior Fellow with the Howard Center for Family, Religion & Society. Alveda is a regular columnist for Newsmax.com “Insiders” section and a Fox News contributor. Evangelist King lives in Atlanta, where she is the grateful mother of six and a blessed grandmother. To arrange a media interview, email media@priestsforlife.org or call 917-697-7039. To invite Alveda to speak in your area, contact our Speakers Bureau at 321-500-1000, ext. 255 or fill out the form at www.PriestsForLife.org/travels or email: travels@priestsforlife.org.